The Dublin School first opened its doors in September 1935 with eight students and six faculty. Its quarters were an old but commodious shingle house, located near Mount Monadnock, with a panoramic view of the hills of southwestern New Hampshire. Here Paul and Nancy Lehmann found a site where the specific qualifications that Paul sought for his school became a reality. The location should not only be in New England, but preferably in southern New Hampshire. The site must be on the east side of hilly land at a considerable elevation. There should be a vast and extensive view. There should be at least one substantial building. There should be ample inexpensive, undeveloped, forested land and/or fields available for ultimate purchase and expansion. The location should be near but not in the center of a non–industrial town or village. There should be no previous history of a school in the area, especially not the site selected. Impossible? Well, they didn’t expect to find all of the criteria available to them; one item or another would probably have to be abandoned. But not so. Every item in the requirement was fully realized! This then, is Dublin. Taken from Dublin School 1935–1970 by Paul W. Lehmann, and the Alumni and Faculty of the School. True to Mr. Lehmann's original vision, Dublin School remains in its original location and would be recognizable by its founder. The buildings he built have been restored and the leadership of the school remains committed to taking advantage of the abundant natural resources that surround the Dublin campus. At the same time, the resources of the school have been greatly expanded to provide an educational opportunity that rivals or exceeds much larger schools. Over the last six years, major investment has been made in the Dublin School campus, without changing the fundamental character of the campus that Mr. Lehmann cherished. Perkin Observatory for Astronomy classes as well as more informal opportunities for star-gazing. The Fountain Arts Building with state of the art sound and light equipment, includes an outdoor performance space for spring concerts. Extensive network of cross country and Nordic ski trails designed by Morton trails. Norm “Pro” Wight Ski Area right on campus for downhill skiing and snowboarding. The Ski Area is serviced by a German Multi Skilift. Gillespie Hall, home to the Putnam Gallery, Spencer Student Center, and the Christopher R. Horgan Art Studio with dedicated space for advanced art portfolio students, high-tech computer lab for digital photography and filmmaking. 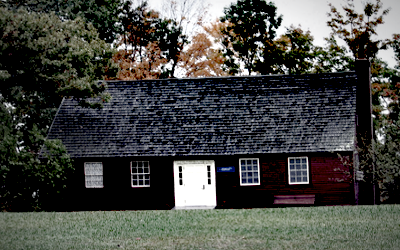 Pump-house building relocated and converted into Shiras School Store. Adirondack style boathouse on Dublin Lake. Two newly designed and cut cross country and Nordic ski trails designed by Morton trails. These trails are among the best competition trails in New England. Race timing house. Lights on the Norm “Pro” Wight Ski Area. Monadnock House - 24 student dormitory located to the left of Whitney Gymnasium and below Memorial Field. Two newly designed and cut cross country and Nordic ski trails designed by Morton trails. This will complete the new cross country and Nordic ski complex with over 7.5 kilometers of fully homologated racing trails. New wood basketball floor in Whitney Gymnasium. Seasonal turf field in the Whitney Gymnasium for indoor practices in fall and spring. Expanded and refurbished training room, fitness center. Crew Steele Family Boathouse on Thorndike Pond in Dublin. Christopher R. Horgan Tennis Complex - four new post-tensioned concrete tennis courts built by Cape and Island Tennis & Track. New student “café” area under the current Lehmann Dining Hall. Two two state-of-the-art math classrooms. New snowmaking and irrigation system for Memorial Field and Norm “Pro” Wight Ski Area. 324 kW (DC) ground-mounted solar power facility. It is comprised of approximately 1,330 solar modules. The system is expected to produce 600,000 kWh per year. New David Howe Administration and Admissions Building. Expansion and air conditioning of Louise Shonk Kelly Recital Hall.